Politics, despite the mawkish sentiments of some, is as much about division as it is about compromise. In its starkest terms this is seen at the ballot box, which after all the campaigning, speechifying and nonsense asks voters to pick one candidate or another (or, should they abstain, none at all). 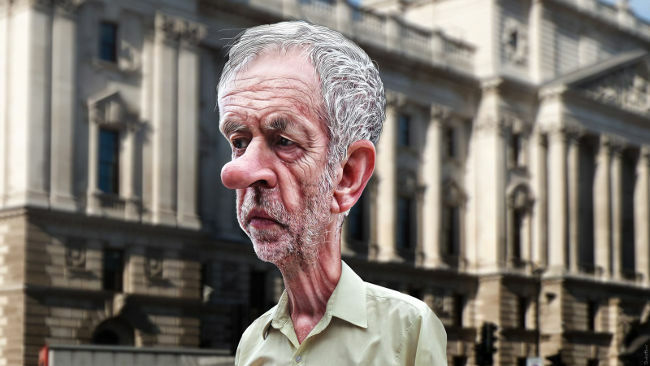 And it’s with that in mind we look at Jeremy Corbyn, new leader of Labour, who this week set out the programme that will go some way to deciding the fate of his party, and the left at large, come May 2020 when the next general election is held. Corbyn’s views are notably fringe on many issues. He is, like me, anti-monarchy. He is also wants to ditch nuclear weapons and leave Nato, and continues to support a united Ireland. Not all these issues are binary. Most people who support the royals are not ardent fans of the Windsors, but think the system we have roughly works. Likewise many people are sceptical about the cost of the Trident nuclear subs, or Britain’s pretensions at being a major rather than minor power. One suspects that most Britons would accept Irish unification if the democratic will was there to make it happen. Some of these issues are important for political geeks, but political geeks do not make up a majority or even a significant proportion of the voting public, even if they control the press and set the agenda. Few people are going to be offended enough by Corbyn’s support for dialogue with Argentina over the Falkland Islands to dismiss voting for him on that alone. But what will change their minds is Corbyn’s views on the bigger policies: the economy, health – on which Labour is still ahead – and migration. There has long been a streak of social conservatism among Labour’s working class voters that divided them from the intellectuals who more often run the parliamentary party. In the general election Ukip did greater damage to Labour than to the Tories, often in seats where the “left behind” voter that used to vote Labour switched. And lots of them cared about migration. This is not merely a Labour problem. Britain has a taboo when it comes to discussing migration, generated both by bigots who cling on to old prejudices and hysterical leftists who threaten to lynch you at the merest suggestion that diversity has some drawbacks. This may indeed seem “perfectly reasonable” to many, but it is unlikely that the left that Corbyn represents, with its internationalist outlook, will find the notion agreeable, especially given the thousands of refugees travelling across Europe at this point. 2020 is of course five years away, and much can happen in that time. John Curtice, a political scientist from Strathclyde University, last month told an audience in Westminster that the EU referendum may reshape British politics as much as the Scottish referendum changed things north of Hadrian’s Wall, a view that sounds credible. But for now it appears Corbyn is isolating the Labour Party, pushing the market-friendly Blairites to the fringe and alienating the working class voter base that the Labour was built on. Politics is indeed about division. And in that respect Corbyn’s reign has got off to an exceptional start.